The EU Fundamental Rights Charter, the European Commission and the Council of Ministers: checking the ‘Charter checklists’. Part 1. Upon entry into force of the Lisbon Treaty the EU Charter of Fundamental Rights became legally binding. EU institutions, agencies and bodies, as well as EU Member States when they implement Union law are now bound as a matter of Union law to comply with the Charter (art. 51). That this has been the situation since 1 December 2009 is clear to everybody. What consequences it will have in practice, particularly in EU legislative practice, is still largely an open question. The transformation of the Charter from ‘new kid on the block’ to ‘new kit for the block’ is gradually shaping up, however. The Court of Justice now gives the Charter its place next to the other legal sources of human rights, such as the ECHR. This judicial use of the Charter has been regularly assessed. What has been happening with the Charter in Brussels and the capitals in the stages prior to judicial review is less clear. In fact it is far from unlikely that, particularly in the capitals, so far very little has been happening with the Charter. The ‘new kit’ requires some authoritative instructions regarding its modes d’emploi. Therefore it is noteworthy and of potentially wider practical significance that the European Commission and the Council of Ministers have recently published documents and adopted conclusions about how they intend to make use of the Charter. In particular, each of them has drawn up its own Charter checklist. Although this is a step to be applauded in principle, since it may help give the Charter the permanent prominent place in Brussels and capitals it legally requires, each of these checklists may need some double-checking. Even before the Charter’s legal upgrade the Commission adopted four policy documents about it (here, here, here and here). These were meant to announce and then to evaluate a ‘methodology’ to ensure Charter awareness amongst its own services. These efforts resulted most visibly in the inclusion of references to Charter articles in the preamble of legislative proposals – although the Commission itself admitted later that this requirement may have amounted to little more than a ‘box ticking exercise’. Since December 2009 the Commission, as “Guardian of the Treaties”, has extended its role to the Charter (even if the Charter was only given Treaty-status by reference, having the ‘same legal value’ as the Treaties). In February 2010 it announced its intention to use the Charter as a ‘compass’ for designing and checking EU action. A zero-tolerance policy with Charter violations was also announced. 1. What fundamental rights are affected? 2. Are the rights in question absolute rights (which may not be subject to limitations, examples being human dignity and the ban on torture)? 3. What is the impact of the various policy options under consideration on fundamental rights? Is the impact beneficial (promotion of fundamental rights) or negative (limitation of fundamental rights)? 4. Do the options have both a beneficial and a negative impact, depending on the fundamental rights concerned (for example, a negative impact on freedom of expression and beneficial one on intellectual property)? 5.Would any limitation of fundamental rights be formulated in a clear and predictable manner? – be necessary to achieve an objective of general interest or to protect the rights and freedoms of others (which)? – be proportionate to the desired aim? – preserve the essence of the fundamental rights concerned? Given the central place that it occupies in the Strategy, the Commission gives curiously little indication as to its view of the nature or purpose of the checklist other than that it would contribute to the promotion of a ‘culture of fundamental rights’. It can be inferred from the document, however, that the Commission’s position is that it should serve multiple purposes; it would be an instrument for both the ex ante Charter impact assessment and for a legal assessment of Charter compliance. Further pointers to this effect can be found in three consecutive Commission policy papers: its annual report on the application of the Charter, an accompanying document to this report (which was clearly intended at some point to be the actual annual report itself – and, given its much more interesting content than the actual annual report, it is a shame that it did not eventually become so) and a later policy document about taking account of fundamental rights in impact assessment. The problem with the Commission checklist, if indeed it was intended to serve as a useful instrument in both these phases at once, is that it has no two-birds-with-one-stone merits. Rather, it seems capable of causing considerable confusion, not only for legal specialists but also for impact assessment officials. Firstly, from a legal viewpoint, the questions are formulated in an awkward way and not placed in a logical order. For example, what does question 4 add to question 3, apart from the (wrong) suggestion that the violation of one human right can justify extra protection of another? And why are these questions put so prominently at the beginning of the list, rather than being presented as part of the test for checking the proportionality of the interference with human rights? This opens the door for the (yet again) wrong suggestion that the extent of the impact on different human rights of various policy options under consideration (questions 3-4) is in some way (co-)determinative of the answer to the legal question of which type of human right (absolute or non-absolute) is at play (question 2). 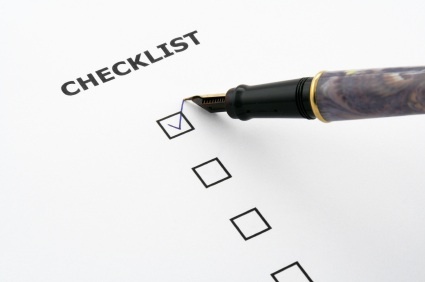 Conversely, from a policy viewpoint the checklist seems to be formulated rather too generally as well. It is to be expected that reactions by Commission officials involved in impact assessment will be less than enthusiastic if, after having carefully followed the checklist and having based policy choices on it, their colleagues in the Commission’s Legal Service question the result when checking legal compliance with the Charter on the basis of, well, the same checklist. The necessity of the ‘lawyers’ last word’ is prominently mentioned in the Commission documents. This creates the impression, directly at odds with the apparent harmonising aim of the checklist, that firmer anchoring of a fundamental rights/rule of law culture based on the Charter needs eventually boils down to a ‘rule of lawyers’. In fact, in order to install a fundamental culture, it would have been better to avoid a one-size-fits-all Charter checklist and create two different lists instead, in accordance with the different emphases that need to be laid in different policy phases. c. is the essence of the non-absolute Charter right(s) concerned respected? (corresponds to 6c). – is it proportionate to the desired aim? (corresponds to 6b). b. what conditions need to be fulfilled with each of the policy options considered to avoid that an absolute right is affected and that the essence of possibly relevant non-absolute rights and freedoms are affected? (corresponds to 6c). e. why would (a) policy option(s) that would not have the effect of interfering with a non-absolute Charter right, or to a lesser extent, not be capable of leading to the same policy outcome? (corresponds to 6b). It should be noted that the Commission acknowledges the importance of these last two questions; cf. Operational Guidance document of May 2011, p. 9. In Part 2 EUtopia law will consider the Council Charter Checklist. This entry was posted in Discussion and Debate and tagged EU Rights Charter, John Morijn by eutopialaw. Bookmark the permalink.